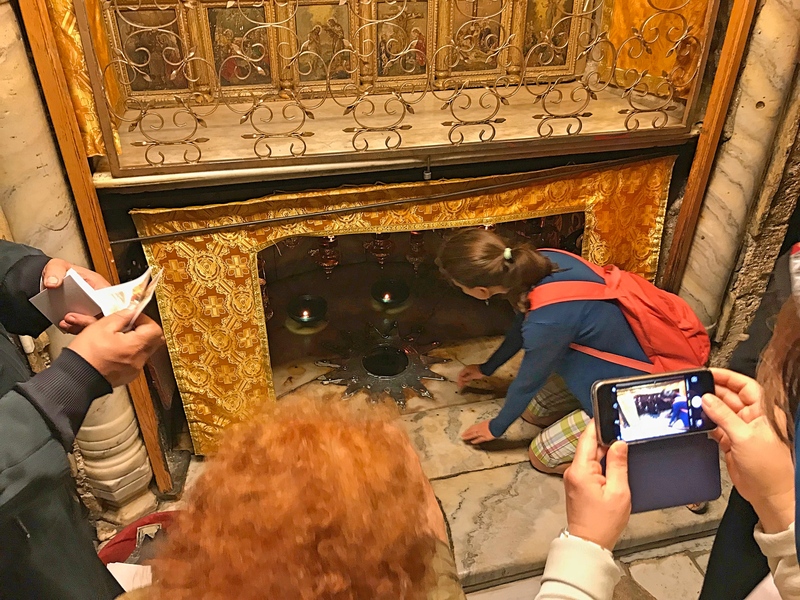 There it is – the very spot that looks down into the cave where Christ was born. Maybe. 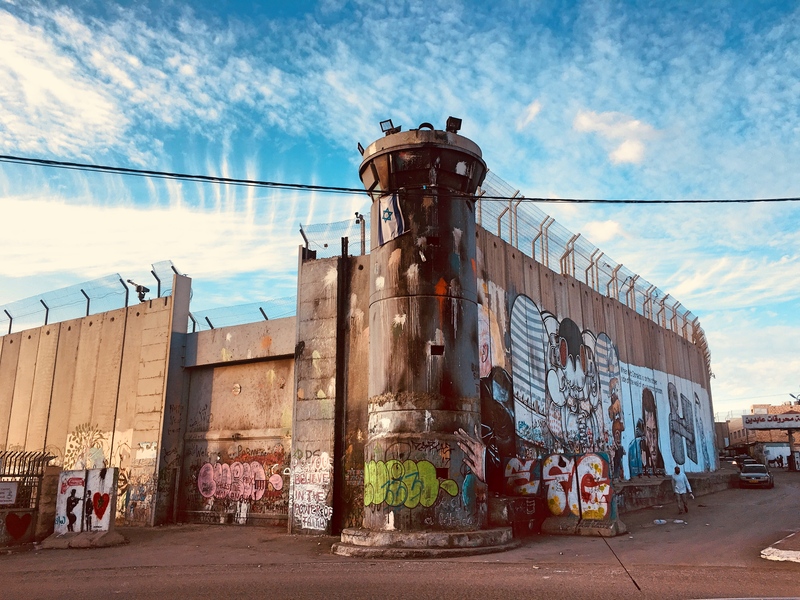 If ever there was a place to learn to hate packaged tour hordes (pronunciation of the “d” is optional), Bethlehem is it. I shudder to think what the place is like around Christmas time. As you may have heard, Bethlehem – just six miles south of Jerusalem – is reputed to be the birthplace of Jesus. To get there we took a bus from Tel Aviv to Jerusalem, then another bus into the West Bank. 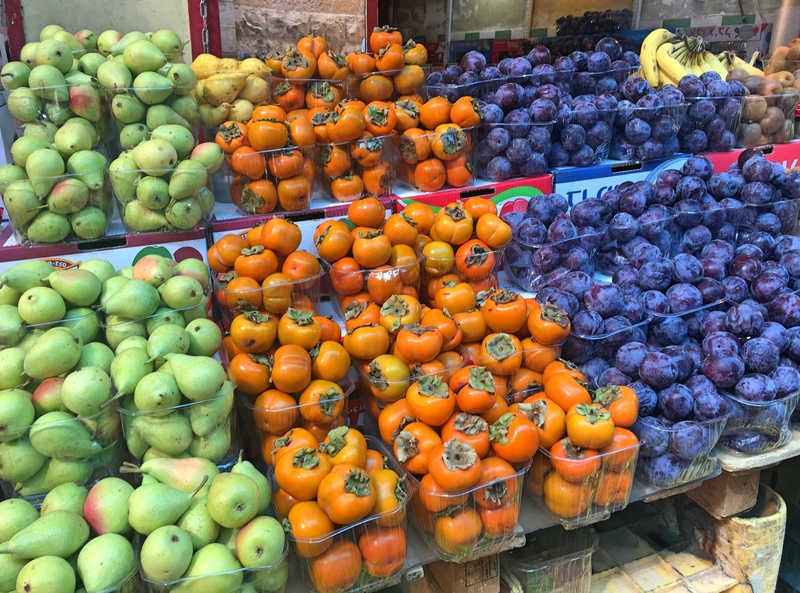 Then an entertaining walk through the Old Town’s souk to our hotel right near Manger Square. 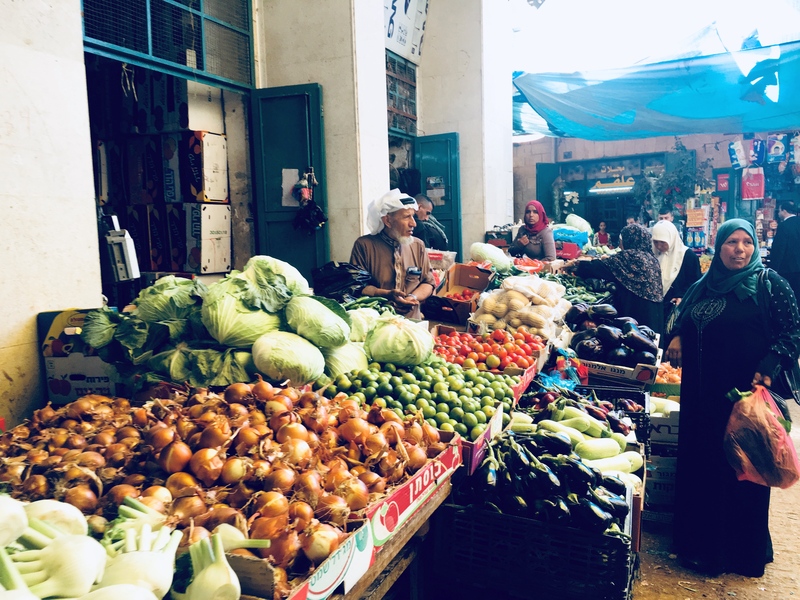 The main business in Bethlehem, not surprisingly, is tourism. Lots and lots of tourists clumped together, clogging the streets and restaurants and everything else. To give a sense of the packaged nature of tourism there, when I went down to breakfast in our hotel the first morning it seemed as though every single table was reserved for one tour group or another. I asked where I could sit and the staff person asked what group I was with. He looked genuinely surprised and even puzzled when I said that we were not with a group. So he sat me at the staff table. Same thing second morning; they really didn’t have any concept of independent travelers coming down to breakfast. Strange. Here I am in Manger Square outside the St. George Restaurant. We stopped for coffee one afternoon but the restaurant part was set up for huge tour groups so we passed on the chance to have dinner there. There’s really only one thing to do in Bethlehem and that’s go to the UNESCO World Heritage-listed Church of the Nativity. It was a bit of an underwhelming experience for me, but in large part I’m sure that’s just because I’m a non-believer. If I really believed that God’s son had experienced His earthly birth here I would have been more impressed. According to legend, St. Helen, mother of Emperor Constantine who made Christianity the official church of the Roman Empire, came here in the early fourth century, identified the cave where Mary had given birth, and had a church built on the very spot. After a sixth century fire largely destroyed the church Emperor Justinian had the current church built. Accordingly, the Church of the Nativity is the oldest Christian church in the world under continuous, daily use. That’s the kind of thing that impresses me. Unfortunately, for me the most memorable thing was the horrible line to get up to the Holy Birthplace. When we went to the church on our first day in Bethlehem it seemed as though it would take forever to get through the line so we just left. We came back a few hours later, hoping that late in the day the line would be shorter but no such luck. Early the next morning the line was a lot shorter, but even then the process was just horrible. Big groups pushing through together (“Are you with the Bulgarian or Romanian group?”) to get up to the spot but no one moving fast or far. After our 90-minute wait we saw the issue: the faithful approach the spot one by one, kneel, pray, kiss the spot, etc., before the next believer comes forward to kneel, pray, kiss, and so on and on. 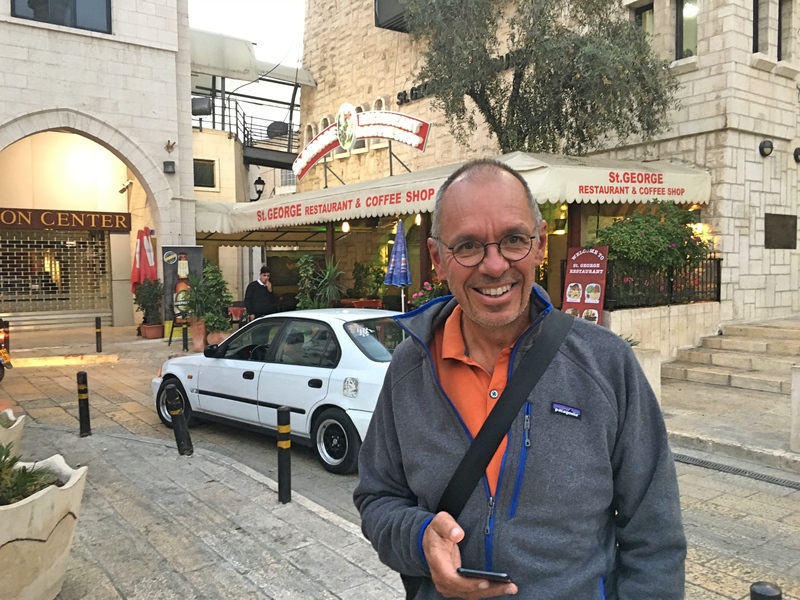 For me, well, it would be crazy to come to Bethlehem and not see the sacred birthplace but I don’t think that’s ever going to happen again. Oh, and just to make things worse the church itself was undergoing a major renovation process so you couldn’t really see anything besides scaffolding and workers. 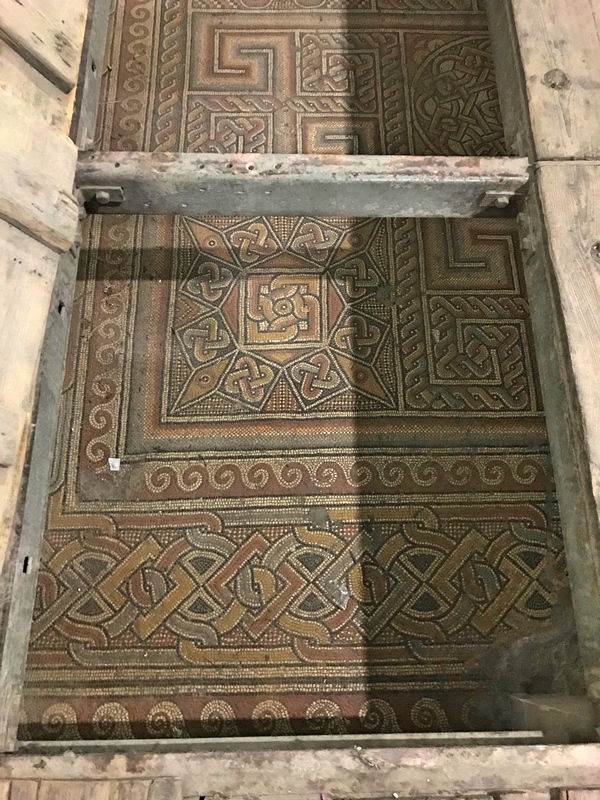 This section of mosaic floor apparently dates back to the original church built by Helen, mother of Emperor Constantine in the fourth century. In other words, that’s some old mosaic there! It’s worth noting that there is some debate among historians about the credibility of the claim that Jesus was born here. He is, after all, always called Jesus of Nazareth, not Jesus of Bethlehem. And there is another town of Bethlehem quite near Nazareth that would make more sense. Why would second and third century Christians claim that He was born here? 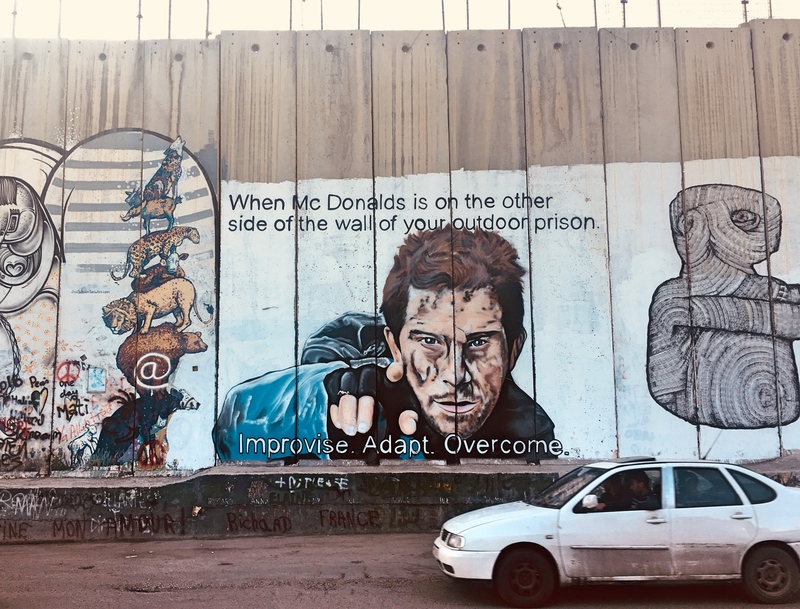 Well, King David of Israel was definitely born in this Bethlehem and it may have been considered good politics to link the Messiah to David this way. Let the debate continue but if they all decide it was in fact the other Bethlehem there’s no way I’m going through that whole ugly mass of tourists again to see the new real birthplace. Otherwise? 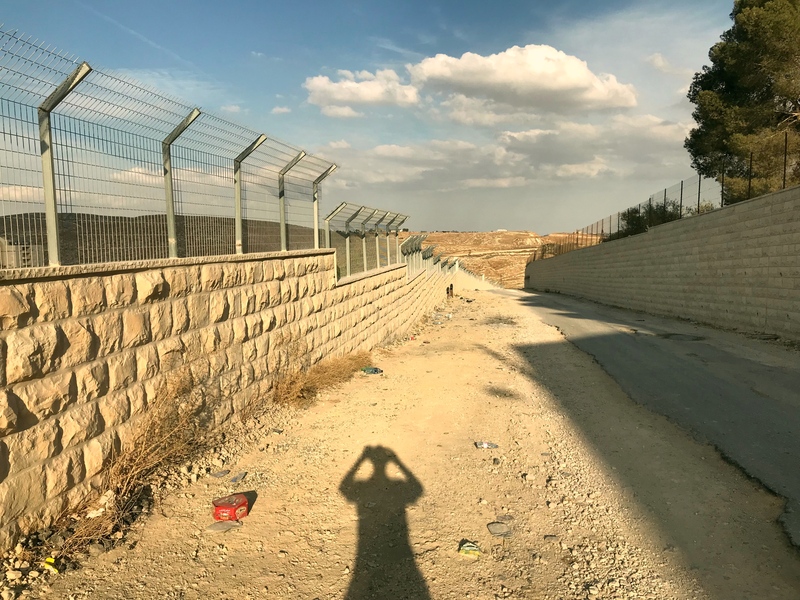 It was interesting and eye-opening to hike out of town a ways to see the walls separating the Jewish settlements from the Arabs on the West Bank. Big, ugly walls with fences above to ensure that the native Arabs stay in their place. It’s easy to imagine how frustrating – enraging, really – it must be for locals to be walled off by an occupying force from their own land. I’m sure at some point it becomes the new normal and you learn to live with it, but the walls are an ugly mark on the land. With the help of TripAdviser we found some good food, including one restaurant that was classy and cool beyond our fondest hopes. And while scouting out restaurants on our first night I even walked by what seemed like a cool bar that might even be lively. We stopped on our way out to dinner for an OK drink and while it seemed like the place had potential it was kind of dull. 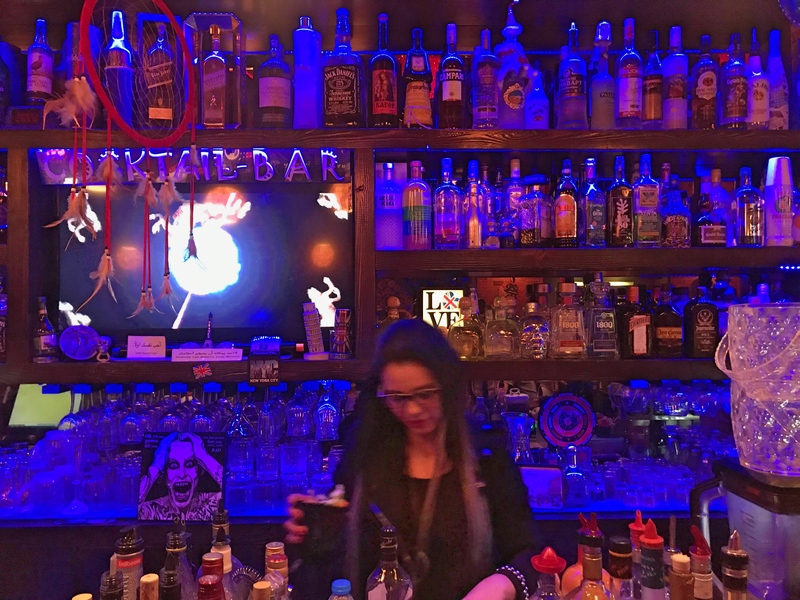 Only when we got to Jerusalem did we learn from our gay friend who works at the Consulate there that we’d stumbled into the only barely-but-kind-of gay bar in the West Bank, a place where you can meet other gay people but that is still really discrete. So discrete that even we didn’t notice! Two days were plenty in Bethlehem so from here it’s back to Jerusalem. 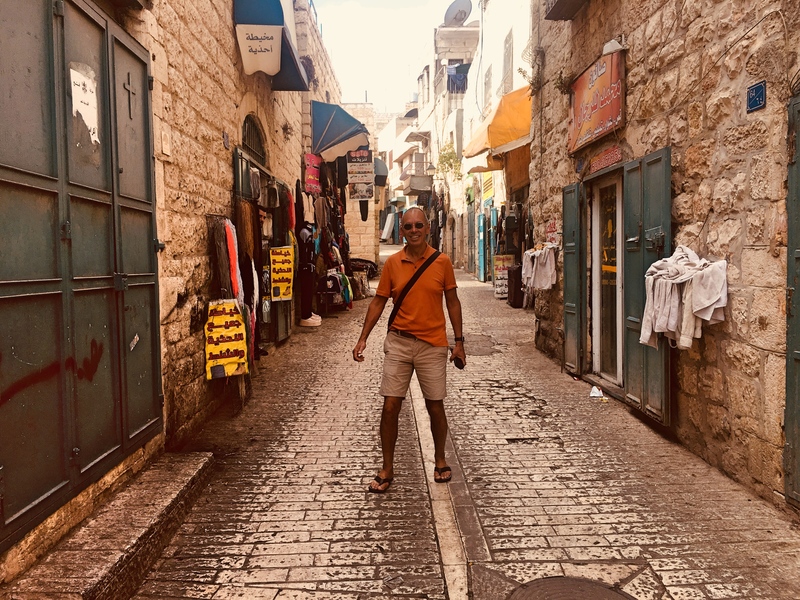 I feel a little guilty experiencing all this when so many people I have known in my life would give anything to visit what for them genuinely is the Holy Land. I assume I’ll get over it. I’m not really a retail kind of guy so what do I know. 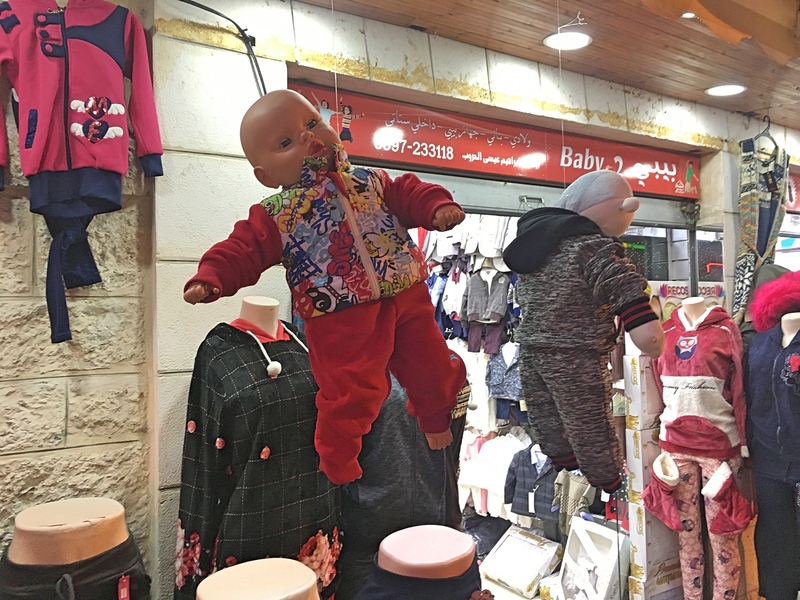 But it seems as though if I were trying to market baby clothes I wouldn’t have the babies hanging by their necks.